Spice up your Halloween party with this traditional Halloween look. 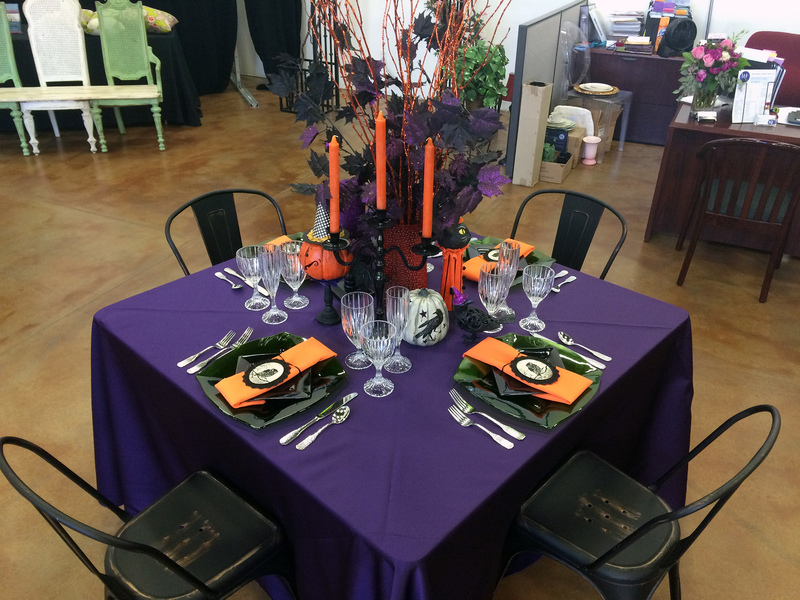 Bright shades of purple, orange, green, and black make this table a perfect look for the season. Mix glittery twigs and pained greenery to make inexpensive centerpieces in painted vases. 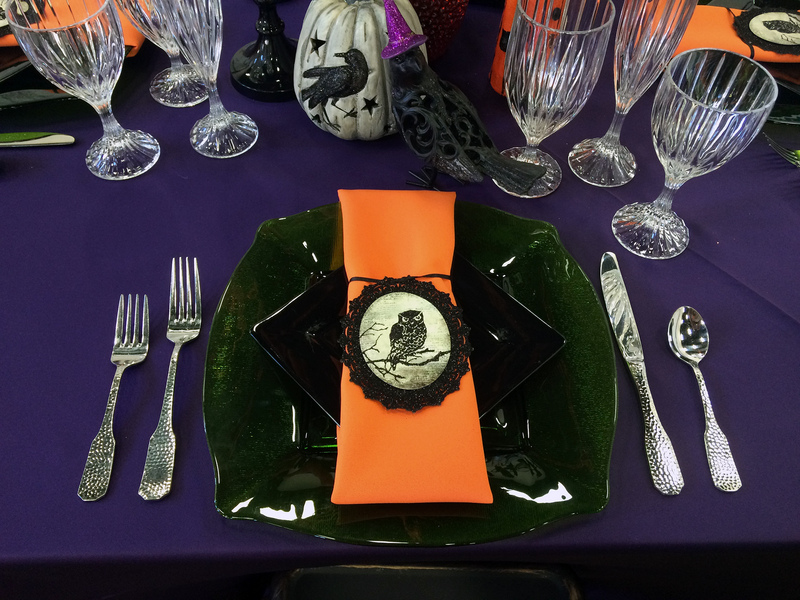 Add painted pumpkins and hand stamped place cards glued to black doilies for a custom feel your guests will appreciate!